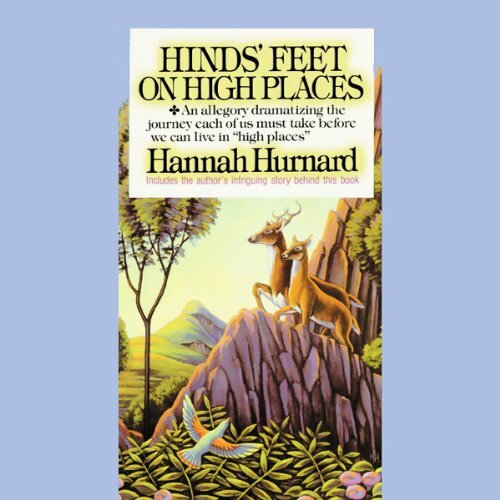 Hinds' Feet on High Places is Hannah Hurnard's best-known and best-loved book, a beautiful allegory dramatizing the yearning of God's children to be led to new heights of love, joy, and victory. Follow Much-Afraid on her spiritual journey through difficult places with her two companions, Sorrow and Suffering. Learn how Much-Afraid overcomes her tormenting fears as she passes through many dangers and mounts at last to the High Places. There she gains a new name and then returns to her valley of service, transformed by her union with the loving Shepherd. This edition of Hinds' Feet on High Places includes two special sections: Hannah Hurnard's own account of the circumstances that led her to write Hinds' Feet on High Places and a brief autobiography of the author's life as told in the book Hearing Heart. Having read this story in print several times, I was expecting to enjoy hearing and was delighted to discover that the narrator was Nadia May, not the person listed in the catalog. Her voice matches perfectly what I would imagine the author's voice would sound like. This is one of the finest devotional stories ever written. Hannah Hurnard's sequel, "Mountains of Spices", carries on the story after the heroine gets her "hinds' feet" and returns to help lead others out of the Valley. Maybe someday Audible will get rights to that too. Meanwhile, enjoy this heart-warming story of how little MuchAfraid learns to follow the Shepherd up to the Mountains of the Realm of Love. I think every one who seeks to walk with God ought to read this book. The author weaves scripture throughout this allegory, and if you study the Bible throughout life you will recognize bits and pieces of the Word interwoven in the story. 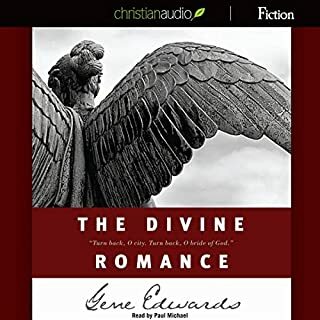 This version is almost twice the length of the other one available on Audible because it has about 2 hours worth of biographical information about Hannah Hurnard which is after the story. The biography is itself interesting. I would note that Ms. Hurnard's later works are frequently criticized for embracing some unbiblical principles. However I cannot find anything in this effort that seems to deviate from God's word. It is a beautiful story, and is frequently recommended to persons who find themselves experiencing sorrow and pain in their life. The book basically is a great picture of how sorrow and suffering can be great companions in helping us walk more intimately with God. I fear this may not encourage many readers. Additionally, this seems to be a book that many men within the church are completely unfamiliar with. This saddens me, it seems too many men believe that female Christian authors only discuss subjects that are of interest to women. I have found this to be generally untrue. The inspiration for this work comes primarily from Song of Solomon, Psalm 18, and the book of Habakkuk. I have also found relevant passages from Exodus, 1 Peter, the book of Ruth, and various sections from the prophet Isaiah. I should also point out that I rather enjoyed the narrator. 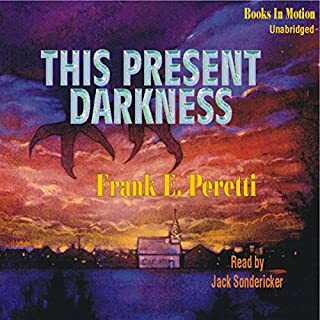 I see the narrator has a great many books on Audible, and that they cover a variety of subjects. (not just a bunch of Christian books) I would definitely be interested in other books read by Nadia May. Well written and pleasing reader. Beautiful imagery and encouraging message. For anyone facing difficult circumstances, it is a must. For those wanting to grow in their spiritual journey, it provides inspiration. Much Afraid. I can truly relate to her. Her voice fits the story. Who was the most memorable character of Hinds' Feet on High Places and why? The Shepherd because He is Hope. 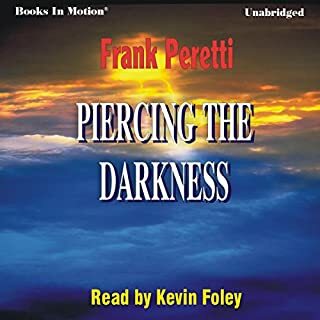 I loved reading the book, now I love listening to it. I will listen to this one again and again. 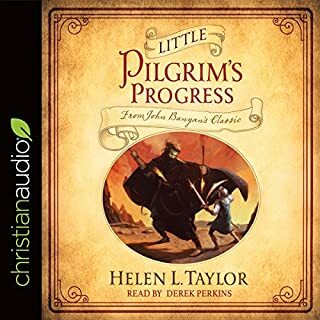 Thanks for making it available on Audible! Written in 1955, the year that I was born, and only seven years following the re-establishment of the nation of Israel, where the author, Hannah Hunard was called to be a missionary, Hinds' Feet on High Places is an amazing (fictional) tale of our pitiful human state, and our need for growth and change. As Much-Afraid continually meets up with the Shepherd, as she journeys towards the high places, I, too, stumble along with her . . . even though I began my walk so many years ago at age nine . . . it seems I need to walk the path again and again, when the woes of this world begin to crowd back in, and I once more link arms with old companions, Sorrow and Suffering, forgetting that the Shepherd has already turned my weeping into joy . . . yes, Hinds' Feet on High Places is a book for more than one listening . . . I appreciated the information about the author and how she came to know the Lord, as well; daughter of devout Quaker parents, who hated going to church and found it dull and boring, yet she loved her father so much, she agreed to go to a long revival with him, and it was there that she met the Lord at age nineteen . . . this is a healing book for those who are hurting, a loving book for those who feel unloved, and a book to help us find courage to face our fears and our pasts . . . and to lead us upward to our redeemer . . . This book, Hinds' Feet on High Places, is a precious book that teaches us to see things that are trying to take us away from God in a clearer light, calling them exactly what they are, such as Craven Fear and the Fearing Relatives. It also teaches us to stop and give glory to God at times when He triumphantly brings us through tough times. It is a humbling and honest portrait of the Christian life well lived. Spirit filled with lessons to live by. 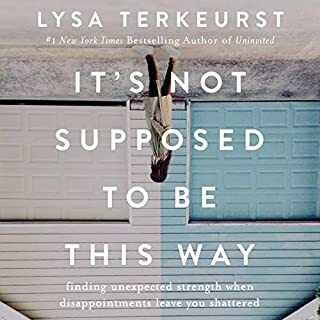 I love the journey this book takes you on, teaches that we are not perfect nor do we need to be for God to love love us. For God see us as we will be not as we are. The artist has a pleasant voice and the story is one of my favorites. Unfortunately at the break between each part, the artist felt the need to repeat the last sentence spoken in the previous part; fine for a book on tape perhaps but terribly distracting in an audio book. Should Audible take the time to edit this out it would be perfect. WARNING: Once you've journeyed with Much Afraid to the High Places you will never be quite the same, ever again. 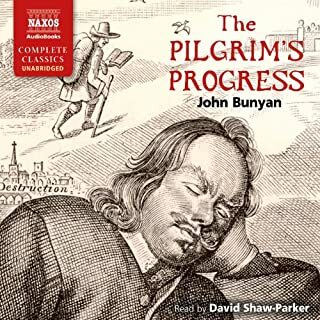 The performance in this audiobook is superb. Get it. It was one of the best books that helped me improve my self image and established my identity as a child of the King.